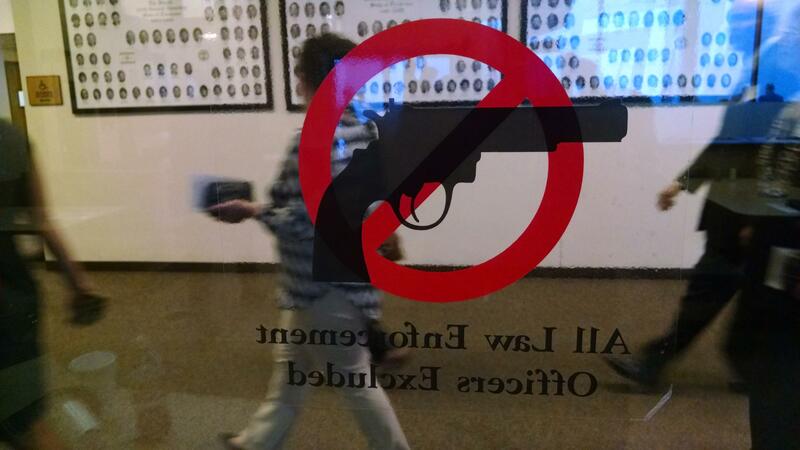 A sign in Legislative Plaza indicates guns are banned in the State Capitol complex. As a state lawmaker, Republican Mae Beavers frequently proposed legislation to do away with handgun carry permits. And as a candidate for governor, her position is unchanged. She believes there are already enough strings attached to gun purchases, so the permit process is pointless. "When you legally own a gun — not if you stole it — but if you legally own a gun, you've gone through the background checks," she says. "They've found out you're not a criminal. So why shouldn't you be able to?" That's not a position any of the other major candidates for governor share. 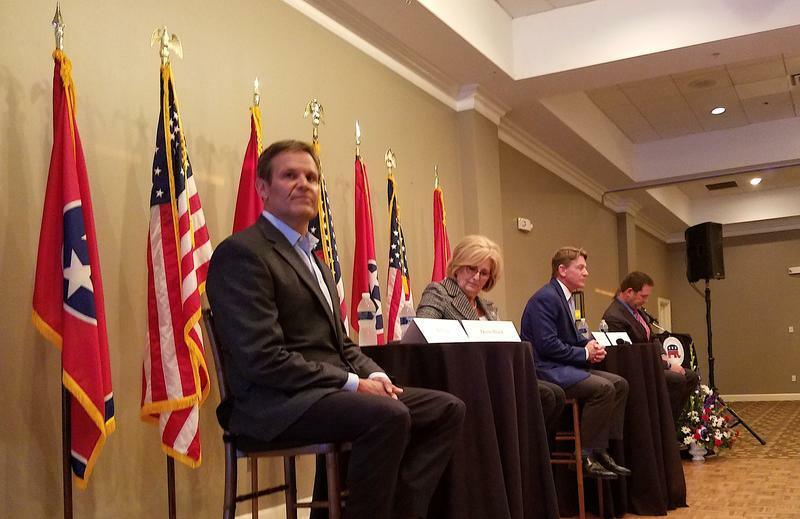 Though some gun rights advocates have pressed in recent years to eliminate Tennessee's handgun carry permit requirement, arguing that Second Amendment rights shouldn't be restricted by the government, Beavers is the only one out of the seven major candidates for governor who agrees. For many of the rest, the issue is complicated. They generally argue there's a public safety value to having a permit system, though their support for that system varies. The candidates were interviewed before the most recent shootings in Antioch and Las Vegas, though it's unclear either event has changed their thinking. None has issued a statement since the shootings to indicate they've rethought their positions. The supporters of requiring a permit to carry a handgun include House Speaker Beth Harwell. She says the system may even have a net benefit for gun owners: Because Tennesseans have to be permitted to carry, they can legally take their weapons into most other states, including all eight that border Tennessee. "It's certainly is, I think, good for gun-carrying permit holders to have a reciprocal agreement with states around us, which they would lose if we went to 'constitutional carry,'" she says, referring to the term used by gun rights groups to refer to the legal carrying of handguns without a permit. But Harwell says there's a limit to her support for handgun permits. If elected governor, she says she would not block lawmakers if they decided to do away with them. And she's not the only candidate who says that. Congressman Diane Black does as well. Then there are the two other Republicans — businessmen Randy Boyd and Bill Lee. Both would keep handgun permits. But they'd make them cheaper and easier to get. Boyd received his carry permit just this year. He describes the experience as "burdensome." "It took me eight hours and cost $85. 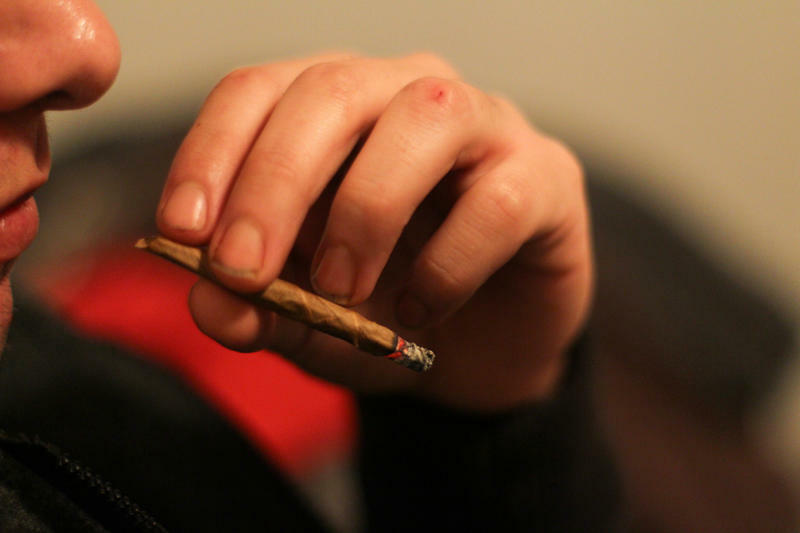 I personally think it could've been free and done in an hour," he says. The strongest support for the current permit system comes from the Democrats. Both former Nashville Mayor Karl Dean and House Minority Leader Craig Fitzhugh say unequivocally that they see no need for a change. Q: Do you believe Tennesseans should be able to carry handguns without getting permits? Randy Boyd: So, I've spent a lot of time talking with law enforcement agents, and most of them are opposed to it, and I want to support law enforcement. However, I do believe that the carry permit process is maybe extraordinarily burdensome. I recently got a carry permit about four months ago. It took me eight hours and cost $85. I personally think it could've been free and done in an hour. So, I think maybe there's some happy medium there where we can do it more efficiently and still meet the requirements that law enforcement officers are wanting us to meet. Beth Harwell: I think our permit system has worked very well in this state. It's certainly is, I think, good for gun-carrying permit holders to have a reciprocal agreement with states around us, which they would lose if we went to "constitutional carry." So, it actually could hold back some rights that we have given to people in the state of Tennessee to bear arms. However, I will say I understand the constitutional argument for it, and should the legislature in its wisdom pass it, I would sign it as governor. Bill Lee: I don't. Primarily because I'm a guy who's listening to law enforcement and what they believe, and law enforcement is very much against that. I do however believe in Second Amendment rights, and I truly believe we ought to expand those Second Amendment rights by reducing and/or eliminating the fees associated with a carry permit. So, I believe we should expand Second Amendment rights, but I believe we ought to keep in place background checks and safety requirements. Mae Beavers: I believe in constitutional carry, if you legally own a gun, because I think our Second Amendment rights guarantee us that. Remember, I'm talking about when you legally own a gun — not if you stole it — but if you legally own a gun, you've gone through the background checks. They've found out you're not a criminal. So why shouldn't you be able to. Diane Black: Well, I do think the current system is working. I think that we should continue the current system, but if the legislature sends me a bill, I will sign it. I do believe there is a constitutional guarantee to a right to defend yourself. And, again, I think our system is working well, but I certainly would sign a bill if it comes to my desk. Karl Dean: I am a supporter of the Second Amendment, but I believe the gun laws that we have right now are adequate. I think they cover what needs to be covered and I don't see a need for a change. Craig Fitzhugh: Well, I don't know about that. That's what you'd call anybody carries for any purpose. I don't think that's a good idea. I think there should be some control so that we can try to have for the ability of people who are not qualified for whatever reason — no fault of their own, maybe some mental issues or health issues and physical issues like that — they just can't handle a firearm. So, I do think there does need to be a permit process.